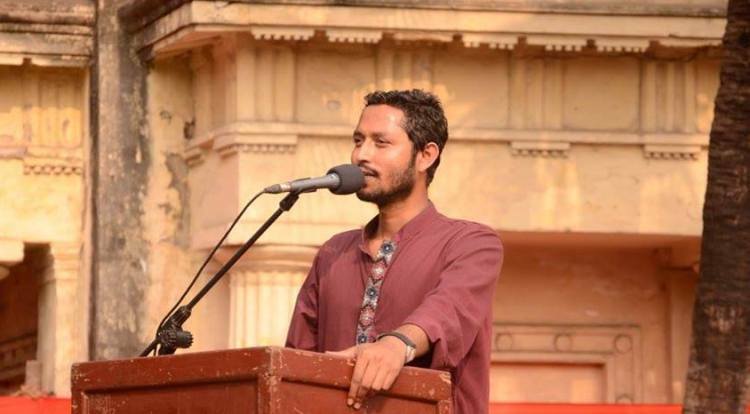 DUCSU Vice President Candidate of left alliance and general secretary of Chhatra Union Liton Nandi on Sunday said that VP Nurul Haque Nur’s Speech at Ganabhaban is contradictory to his previous ones. “Earlier, he demanded re-election of DUCSU boycotting the result. Yesterday (Saturday at Ganabhaban), he wanted to go forward accepting the result. This contradictory speech is very harmful. He disappointed the students of Dhaka University.” Nandi Said. He came up with the comment at a press conference, held at the Madhur Canteen in Dhaka University Premise. He vowed to go on protest movement in the demand of re-election of Dhaka University Central Students’ Union (DUCSU).